LANCASTER, Pennsylvania -- A dad from Lancaster, Pennsylvania, was trying to capture a more serious mood for his holiday card. 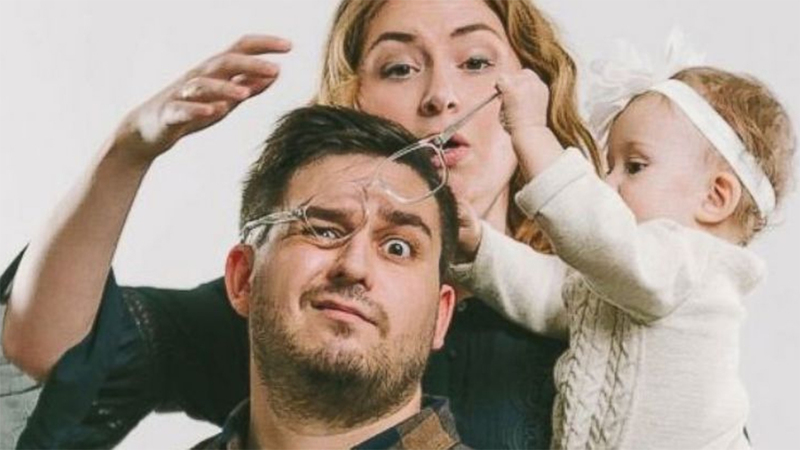 Jeff Frandsen and his family scored the perfect silly holiday card thanks to his 10-month-old daughter, Emerson. That's because a photographer captured the moment Jeff Frandsen's 10-month-old daughter, Emerson, yanked his glasses off. Jeff pointed out the family's 2-year-old dog was the only one who posed perfectly for the picture. A dad from Lancaster, Pennsylvania, was trying to capture a more serious mood for his holiday card. And despite the attention the picture is getting on social media, Jeff says they are using a different picture for their family card.